Originally for soprano, violin section, recorders, viola da gamba and continuo. In a minor as in the original. 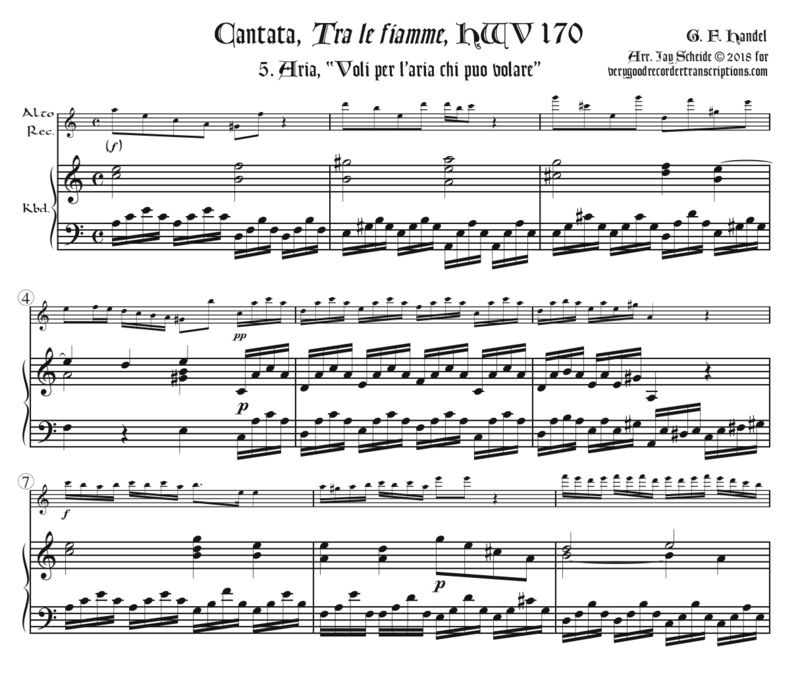 Title of the cantata means, In Flames, and of the aria, “Fly through the air whoever wishes to do so.” Rev. Jan. 7, 2019.